Persona is such a unique beast when it comes to JRPG’s. Originally born as an offshoot of an offshoot of the Shin Megami Tensei series, it’s since grown into one of the most recognizable Japanese RPG’s for its stylish presentation and social link aspects. Since then, Persona has evolved into a fighting game and not just one, but now three different rhythm games encompassing the latter half of the Persona series catalog. The two new titles to the Persona Dancing series, Persona 3 Dancing in Moonlight and Persona 5 Dancing in Starlight, were both previously Japan-exclusive for much of 2018, while Persona 4 Dancing All Night had previously seen a Western release on the PlayStation Vita. Now, players can get either all three titles together on PS4 (including a download voucher for the PS4 port of P4DAN), or in a double pack on the PlayStation Vita. Of course, both titles could be purchased separately, but for the full package, you’re going to want to look into the Persona Dancing Endless Collection and try out Vita Remote Play for the portable experience. 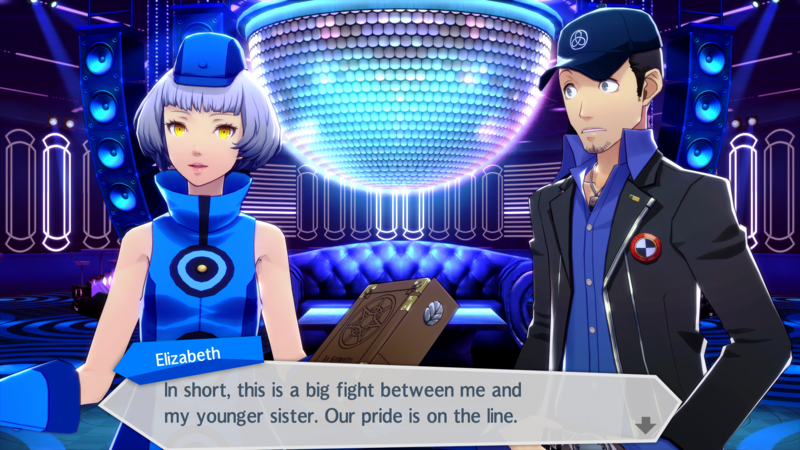 Unlike Persona 4 Dancing All Night, the other two titles in the Persona Dancing Endless Collection have dropped the story mode, instead opting for a few social cutscenes and conversations at the beginning before dropping you straight into the rhythm. After completing various challenges, you’ll encounter brief social link vignettes between the various confidants and arcanas of your classmates but in much smaller bursts. If you’re looking for that RPG story, you might want to look at the HD port of Persona 4 Dancing that comes as part of the triple pack. In comparison to SEGA/Atlus’ Hatsune Miku rhythm games, following the notes and playing along in Persona Dancing is a much simpler experience. Three note tracks on either side of the screen need to get tapped as notes move outwards and overlap their particular slot, with a ring that’s easily visible from anywhere on the screen that helps to line up the notes just right. This is extremely helpful, as the main screen can be quite busy with a live dance routine of that song’s particular Persona teammate and backup dancers and difficult to follow along at times. Notes either need to be tapped, held (indicated by a green bar that indicates when to hold and release), or scratched, with the last one being a blue or rainbow bar unaccompanied by notes. The scratch can be performed with a quick flick of either analog stick, or customized in the settings to be hit on L1/R1 as well. Or, if you’re just not wanting to feel ambidextrous enough to coordinate between scratches and taps, you can always turn on a support modifier to automatically hit the scratch notes for you. The note maps to Persona Dancing are all quite simple to follow along to, at least on the initial three difficulties. For double notes that need to be pressed at the same time, they’ll be on the same tier to catch: top left with top right, middle left with the middle right, and so forth. As the notes scroll through the screen, they’ll typically appear in either a clockwise or counter-clockwise fashion, being easy to follow unlike the notes of a Hatsune Miku title that fly in from any direction. Of course, these rhythm rules don’t apply on the highest difficulty, All Night, that’s unlocked once you complete the full roster of tracks in either game. Not only will you have a much heavier stream of notes filling the screen, but they tend to rework into trickier patterns that feel all that more rewarding when you can clear a song without breaking the combo. It isn’t just about sounding good in the Persona Dancing Endless Collection, but you’ve certainly got to look the part as well. All of the party members (Sorry, but Koromaru wasn’t feeling determined enough to join the crew) are looking their absolute sharpest on PS4 with a snappy sense of fashion to boot. Each dancer has a wide range of costumes and accessories that can be freely swapped about before each song, giving your crew of Phantom Thieves some coordination to their kit before hitting the dance floor. Between Persona 3 Dancing and Persona 5 Dancing’s offerings, the two are quite similar to one another. Each title offers two dozen songs, both original BGM tracks and remixes as well as a live track taken from last year’s Persona Super Live P-Sound Bomb !!!! Concert in Japan, similar unlock progression, and even an identical trophy list. If you’re a true trophy hunter, getting two or three platinum trophies for your purchase shouldn’t be much of an issue with the Endless Collection although you won’t be able to get a second platinum for playing on both the Vita handheld and PS4 console. Aside from getting a King Crazy rating on one song and hitting at least 50% Perfect notes on a Hard difficulty track, both titles are pretty simple and straightforward platinum trophies to unlock. This, of course, is just an extra incentive if you’re already planning on buying one of the Persona Dancing rhythm games and the likes of Superbeat Xonic are too difficult to unlock trophies in. If the full Endless collection isn’t quite what you’re looking to tap along to and want to and need to choose just one title to experience, consider which cast you want to spend more time with. The Phantom Thieves are certainly more fun than the Gekkoukan High class, but they each have their own charm to them. I will admit that Persona 3 Dancing in Moonlight’s roster of tracks is stronger than that of Persona 5 but only from a subjective viewpoint. I spent a great deal of time playing through Persona 3 through the ages and some of those vocal songs just feel more iconic on a personal level. On top of that, Persona 3’s variety of remixes lean more into the electronic and club side, while Persona 5 Dancing in Starlight’s song list provides a bit more experimental offering to the remixes. 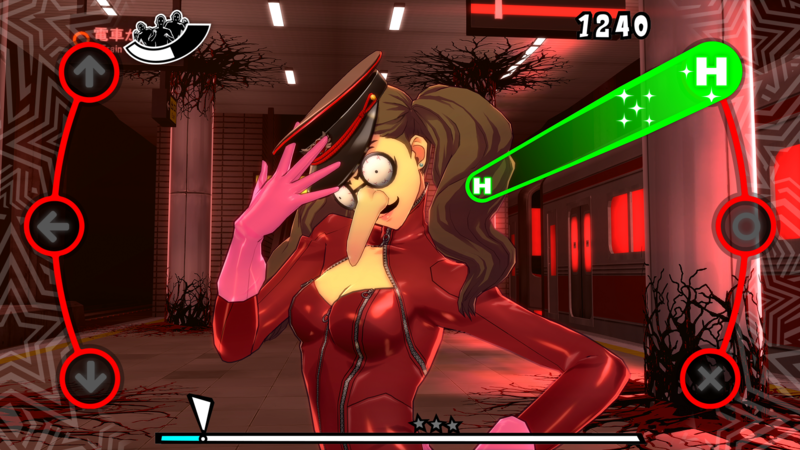 On the other hand, Persona 5 Dancing in Starlight’s dance routines and costume selection feels like it’s the stronger of the two, especially with some of the more comedic costumes for Futaba and gang. No matter which title you start with, you’re going to have your hands full of rhythm goodness and another dozen hours to spend with your favorite Persona team. Between the two halves of the Persona Dancing Endless Collection, you’ll have a grand total of fifty toe-tapping tracks to groove along to, certainly a modest amount for any rhythm game. Unfortunately, when you split the two halves of the collection, you’re looking at just twenty-five per title. Even the original Persona 4 Dancing included twenty-eight at launch and that one also included a proper story mode to round out the package. 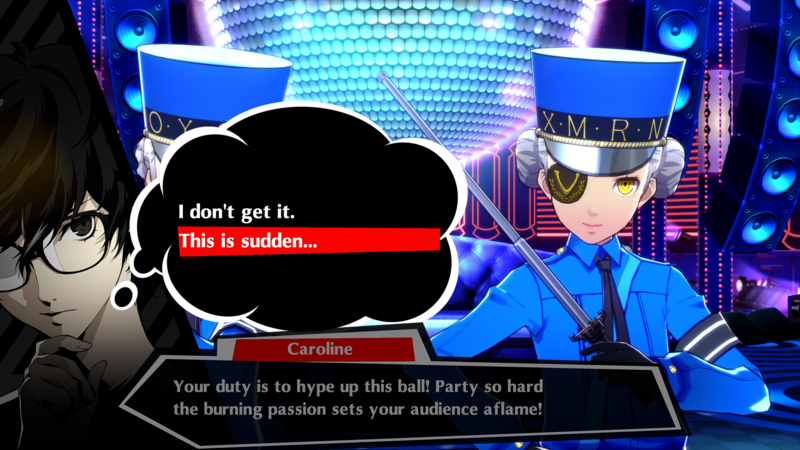 So, what do the two Persona Dancing titles offer to make up the difference in content? More costumes, social link events, and a pair of content modes that you can play in VR if you have the right equipment. 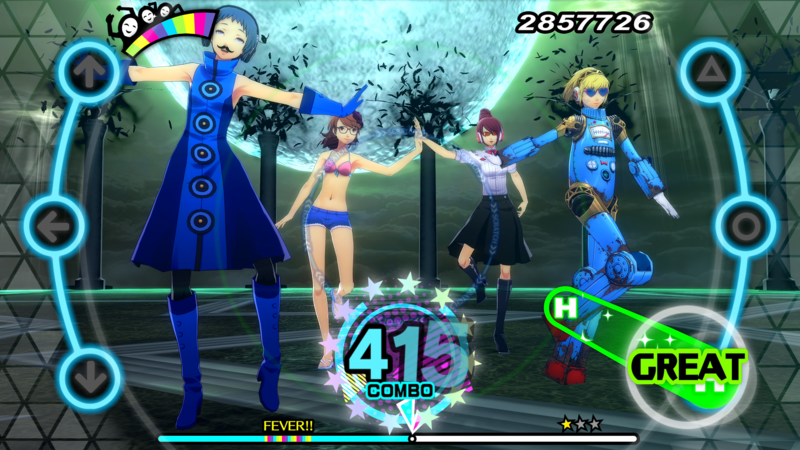 The social link events of Persona Dancing serve as the in-game achievements to keep players dancing and trying out new costume combinations. 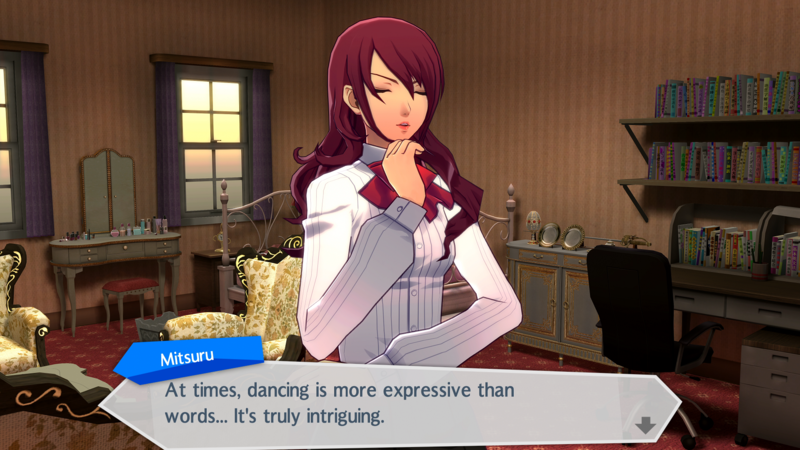 Donning a certain number of new costumes or hitting enough perfect notes can unlock new social events, one-off conversations with your fellow phantom thieves that make up nearly all of the story to these twin rhythm games. Once you hit Rank 6 with a particular arcana, you can then visit their room and explore just what Ryuji lives like when he isn’t stealing hearts. Each time you visit these rooms, you’re tasked with hunting down a VIP card left behind that unlocks new accessories. Unfortunately, trying to find these cards is never a fun task and typically devolves into a pixel hunt and searching around every object in the room just to track down. If getting on your hands and knees to explore underneath tables or around bookcases isn’t enough to entice you into a purchase, just imagine being able to do that in PlayStation VR. For one hundred US dollars, you get a collection of over seventy vocal tracks and remixes of the biggest titles in the Persona series with the Persona Dancing Endless Collection. However, when you break it down and look at the value per game in the collection, that price tag can be a tougher purchase to swallow. All three titles in the Persona Dancing Endless Collection are geared towards the fans that can’t get enough of their favorite party members from the PlayStation RPG series and the music that accompanied these games. The Collection won’t bring new players out of the shadows but for those that want to spend a few more hours with Junpei and the gang, Atlus has put together a fine compilation of hits that will instead make you want to play these RPGs all over again. Reviewed on PlayStation 4 (codes provided by the publisher). The Persona Dancing Endless Collection's price tag is the true shadow of this rhythm compilation. If you choose to do battle with your wallet, you'll be rewarded with a trio of rhythm games that are filled with style, remixed beats, and another chance to spend a few hours with those RPG party members you developed such deep social links within previous adventures.